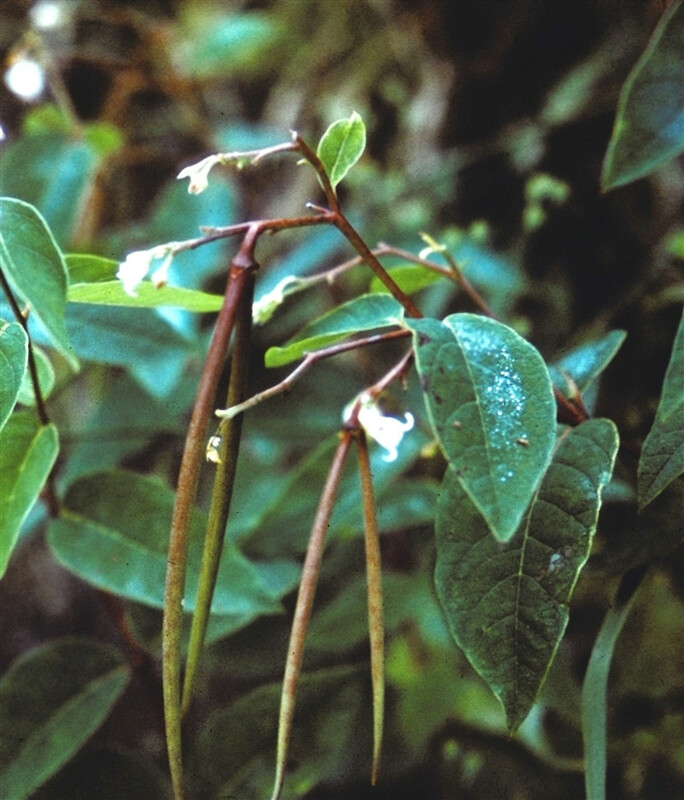 Apocynum androsaemifolium (Dogbane). Rock Creek. commons.wikimedia.org (Accessed 8/2017). Apocynum androsaemifolium is a perennial herb to 80 cm tall; sap milky, acrid; colonial, stems often inclined, branched stems lack a central axis. Leaves opposite, oblong to egg-shaped, to 8 cm long pale, often hairy below. 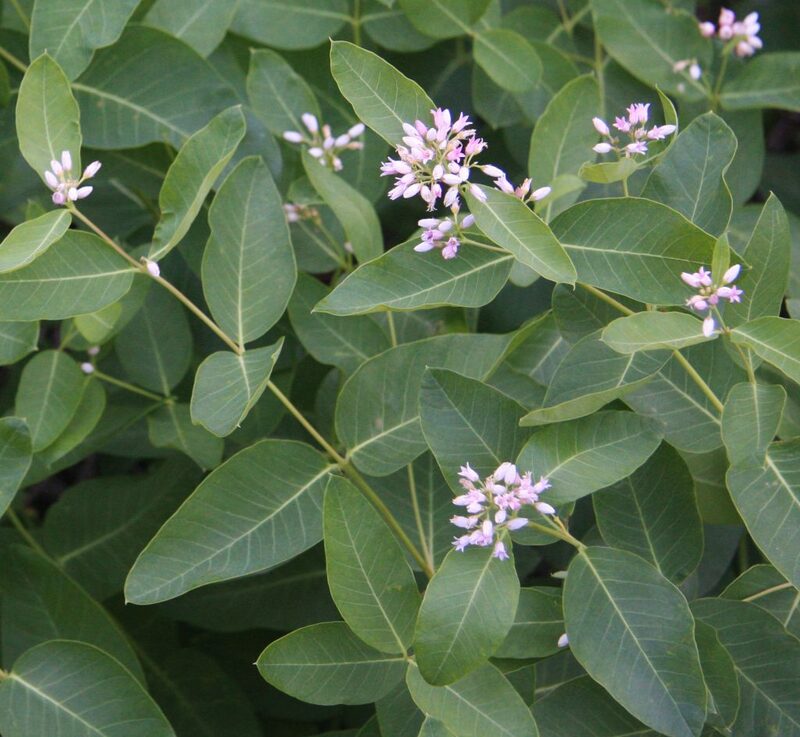 Flowers pinkish-white, radially symmetrical, 5-parted, tubular with spreading petal lobes, to 0.9 x 1 cm, fragrant; inflorescence of branched clusters, May-Aug.
Fruit dry, hollow pods in pairs, linear, to 20 cm long, splitting open to release plumed seeds, to 0.3 cm long, pointed at both ends; wind dispersed. Habitat: Open, dry, woods, fields.